Universal Credit (UC) is a new benefit that is designed to give you the support you need to prepare for work, move into work, or earn more. In return for this support, it is your responsibility to do everything you can to find work or increase your earnings. Universal Credit is being introduced in stages, with new claimants being put on it now with everyone else already on the relevant benefits due to be moved onto UC in the London Boroughs of Lewisham & Bromley in July 2018. One of the changes coming with Universal Credit is that if you get help with your rent, this will in future be paid directly to you and it will be up to you to pay your landlord. Another is that your first payment under UC mabe up to 5 weeks after you apply and is paid monthy thereafter, rather than weekly or fortnightly as it is today. 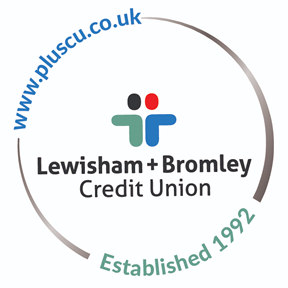 This makes the need for planning and budgeting all the more important and is something Lewisham Plus Credit Union is here to help you with. Where we agree loans for members where repayment is to be met from Universal Credit, we will also need these to be repaid on a monthly basis and for those with existing loans moving onto UC, we will need to work with you to reorganise your loan(s) to be repaid monthly from July.